Any potential cinema development in Rotherham would need funding from the local council to make it a reality. Rotherham town centre has been without a cinema for 25 years but a new cinema operator is likely to ask for a payment known as a reverse premium as an inducement to anchor any development and make it a financial success. Rotherham Council had earmarked Forge Island as the preferred site for a town centre cinema and theatre development but has recently been in discussions with developer, Evans regarding a potential office campus that would bring 2,000 new jobs to the former Tesco site. Regarding the bus station site, the SYPTE, Rotherham Council and owners, Norseman Holdings have met to discuss potential alternative development options for the site and Norseman committed to review the options of a leisure facility at the site and report back on options. A cinema and new interchange scheme proposal was developed however the funding to deliver the scheme could not be sourced. A further request to reconsider the development of the site has recently been made. The draft local plan also picks out the large area of land at New York on the edge of the town centre as having the potential for a mix of uses including assembly and leisure. On a recent roadshow as part of a consultation which will shape future services in the borough, Sir Derek Myers, lead commissioner at Rotherham Council admitted that "Rotherham town centre could have a cinema in a matter of months. To make it happen it would cost the council around £750,000 a year, as operators tell us that a cinema is not financially viable." The issue was one of a number on the local economy that was discussed by the council's Improving Places Select Commission this week. The council, which faces a "budget challenge" of £41m over the next three years, is putting together a capital finance strategy to assess projects that require significant financial investment, with a town centre cinema expected to be put forward. Paul Woodcock, director of Planning, Regeneration & Culture at Rotherham Council, told the meeting: "If we wanted a cinema, we would have to put some money into that. Like they have done in Barnsley, like they have done in Worksop. "A lot of capital projects in the town centre involve difficult sites, with issues such as ownership and flooding, that need more investment and that's where we've been stuck." In Barnsley (CGI pictured, below) and Sheffield, the local authorities have been forced to take the lead on large retail and leisure redevelopments in the absence of private sector interest, utilising mechanisms such as prudential borrowing, borrowing against future business rates and compulsory purchase orders. 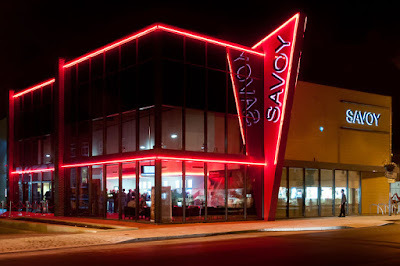 In Worksop, the council gifted land to a developer enabling the independently-operated Savoy cinema to open (pictured, top). Commissioner Julie Kenny, whose remit covers regeneration and the economy, recently provided an update on her work so far, highlighting the discussions with potential developers regarding Forge Island and other potential sites, discussing housing schemes and replicating the successful high street heritage regeneration. Rotherham Council has previously made over £10m of loans available to enable the development of the High Street, college campus and New York Stadium. 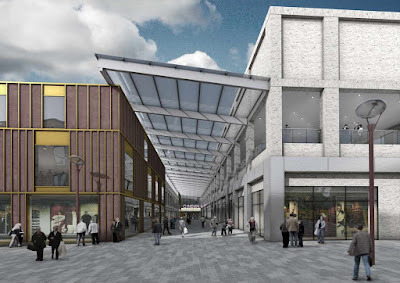 Other town centre plans that would require capital investment include a redevelopment of the markets and a potential higher education campus, both highlighted in the borough's draft Growth Plan. The council has identified that the outdoor market is underutilised and that there is potential for stalls to be relocated should a redevelopment opportunity come forward. Redevelopment to include new retail units has the potential to enhance the vitality of the markets complex. 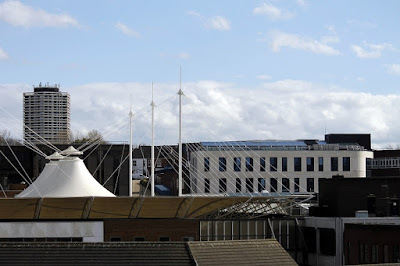 Rothbiz understands that Rotherham College is finalising a bid to the Sheffield City Region Skills Capital programme to bring a higher education "university campus" to the town centre. Discussions are ongoing with the council on the £12m scheme with RCAT earmarking a site close to its existing town centre campus. European funding may also be available and architects, Bond Bryan, who have worked on previous Rotherham College projects, are being instructed to produce an estimate to take consideration forward. The college is also looking at a sports centre to enhance its attractiveness to students. At the same Improving Places Select Commission meeting, members discussed the issue of free parking in the town centre. A report said that: "Many businesses have for some time been arguing that a "free parking" strategy would be beneficial to the town centre. The cost of implementing a free parking scheme in Rotherham Town Centre would be substantial, and there is no clear supporting evidence whether or not this is true. [This commission] could look whether adequate parking is available in the right locations, and at the structure of charges for parking." David Burton, director of Streetpride at Rotherham Council discussed the cost to the council in offering free parking. He said: "The free parking offer on the Tesco site [Forge Island] is approximately £65,000 in lost revenue a year. I'd have to check the figures but for a town centre wide offer of free parking, you are looking at something in the region of £750,000 a year."